Are you looking for FIFA 17 Celebrations ? You can find them here: all the new and updated FIFA 17 goal celebrations in a single guide. To score a goal is always a great moment. 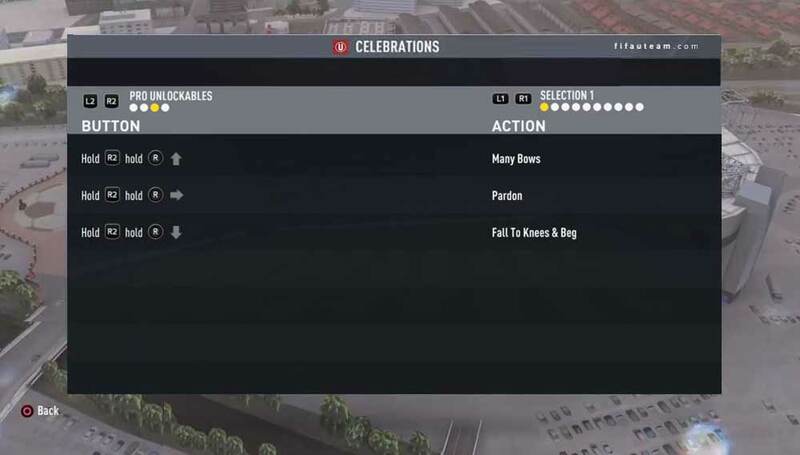 In real world, professional players have several ways to show their happiness every time they score. You can do the same. 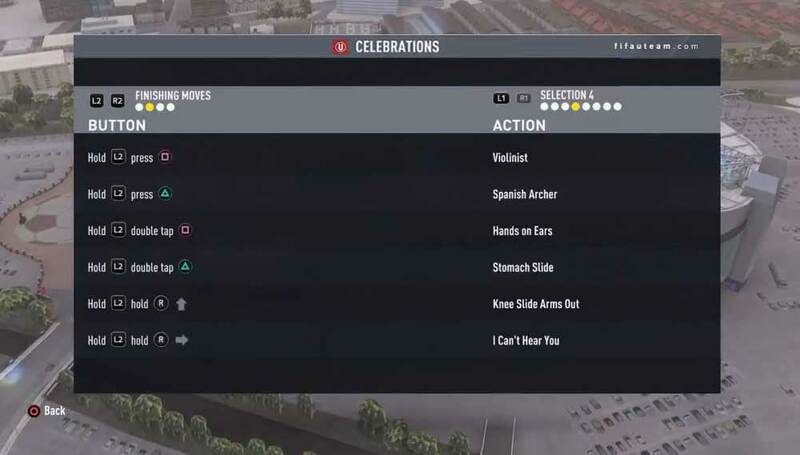 There are dozens of FIFA 17 celebrations. You just have to score and press the buttons. We are here to help you. Check which goal celebration you want to perform and then try to perform it. If you need, we also have video tutorials at the end of this page. Celebrate to show how happy you are or to annoy the opponents. Keep in mind that there are also pro and EAS FC unlockable celebrations that you can redeem and use. Which celebrations are new in FIFA 17? How to perform the goal celebrations in a Sony Console? How to perform the goal celebrations in a Microsoft console? celebrations make goals better….how do I do the manager celebration on x-box 1, pls help! Then, just after you score, press the buttons. I know the XB1 controls are not published in this page but you can look to the PS controls and use these picture to convert.